The first interim maritime helicopter, the CH-148 Cyclone, arrived at 12 Wing Shearwater, N.S. last week to support training of Canadian Forces aircrew and technicians for the Maritime Helicopter Project. On May 13th, the helicopter was flown to Shearwater by Sikorsky Operations International Inc. and it will be used as a ground-based training aid for technicians. 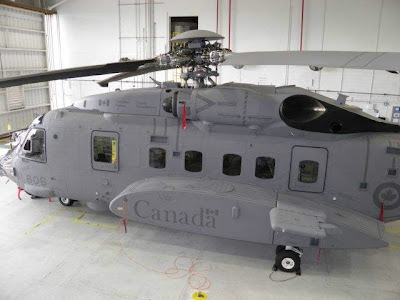 “The arrival of this helicopter in Shearwater demonstrates progress with this project and brings us one step closer towards the delivery of a Maritime Helicopter capability that provides the Canadian Forces with a modern, flexible helicopter to assist in the defence of Canada and Canadian interests well into the future,” said Defence Minister Peter MacKay. The arrival of this helicopter does not however mark the start of formal delivery, the helicopter will remain under Sikorsky title until all contractual delivery requirements are met. The Canadian Forces will not take formal delivery and assume ownership of the helicopter until a Canadian military airworthiness certificate is granted and after initial aircrew training has been conducted. 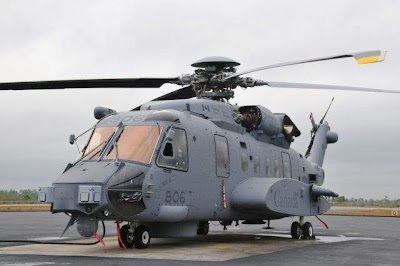 The CH-148 Cyclone, which is replacing the almost 50 year old CH-124 Sea King fleet, will be one of the most modern helicopters in the world, and formal delivery is expected to be later in the summer of 2011.